How time flies! 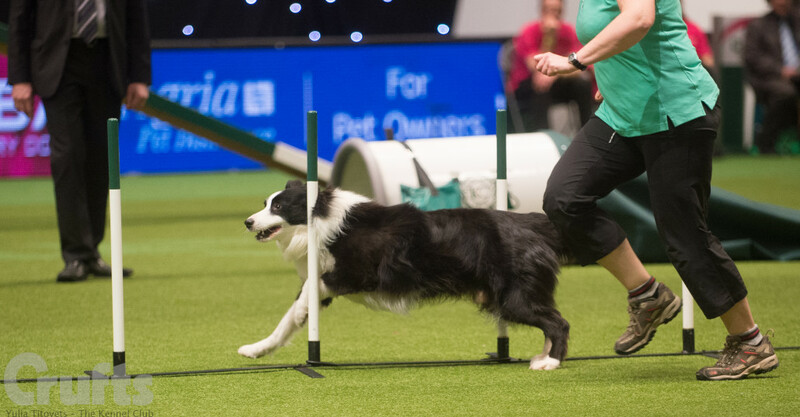 A year ago I was getting ready for Crufts with Manouk to compete in the agility championship final on the Sunday, one of the most prestigious final of the UK. Manouk was just back from an injury, in fact I only had the go ahead to compete from Scott Rigg, his orthopaedist specialist, 5 days before the competition, so it was truly a magic event. It also prove that with dedication, patience and the right Medical and rehabilitation team, miracle are possible! No need to say I was just a little bit nervous (!) but I had a fab last minute groomer who stepped in: Lucy Osborne who helped me in the background to discuss the courses, calm me and take care of Manouk whilst I was walking the courses. Agility is also that, a community of people who are supporting and helping each other’s, driven by the same passions: our dogs (they always come first) and agility! Little I knew it would be his last final and his last time at Crufts: a couple of months later, during a follow up check-up, he was diagnosed with an unrelated condition, a lumbosacral disc degeneration, which forced us to stop agility, with 2 champ tickets and 3 reserves in our pockets. So close to the prestigious “agility champion” title. Gosh I miss running this boy, he is just a dream of a dog, no wonder why his nickname is Mr Perfect! So today, I woud like to wish all the BEST OF LUCK TO ALL THE AGILITY COMPETITORS, I will obviously cheer for all my fellow Scottish competitors! With a special thought for Kelsy, Burns and Jess who will be competing at the young kennel club agility ring! Enjoy your time there! Introducing Canine Massage Therapy to the veterinary community World Agility Open, go on Agility Team Scotland!